The Holiday Bowl will host an ACC team for the first time in 2020. According to Stadium, a team from the ACC will replace a team from the Big Ten as the Pac-12 representative’s opponent in the bowl game. The Holiday Bowl, which started in 1978, has never featured an ACC team. Teams from the Big 12 and now-defunct Southwest Conference and Western Athletic Conference have also made appearances in the game. The switch is part of a reshuffling of bowl lineups starting in the 2020 season. That reshuffle includes a new pairing in the Las Vegas Bowl, as was reported last summer. The game will be played in the Oakland Raiders’ new stadium starting in 2020 and will feature the Pac-12 against either an SEC team or a Big Ten team. 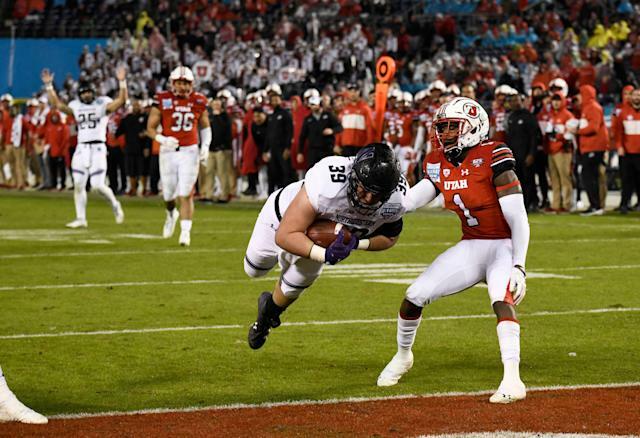 The Las Vegas Bowl move means the Mountain West Conference needs another bowl game. The MWC champ is currently slated to play a Pac-12 team in Vegas. Have no fear, however, another new stadium is getting a bowl game. The Los Angeles Bowl will start in 2020 at the new stadium being built for the Los Angeles Rams and Los Angeles Chargers. The MWC and Pac-12 will reportedly face off there. The Belk Bowl will be on the opposite end of the Las Vegas Bowl, according to Stadium. That means if an SEC team is in Vegas, a Big Ten team will play in the Belk Bowl and vice versa. The ACC will keep the other Belk Bowl spot. You can view a rundown of the list of other bowl changes at the link above, including a similar arrangement between the Outback Bowl and Orange Bowl involving Big Ten and ACC teams.